I rarely feature DC in my blog, yet I adore this city. It's the city where I attended college, started on my own and where I got my first job right after graduating from the university. 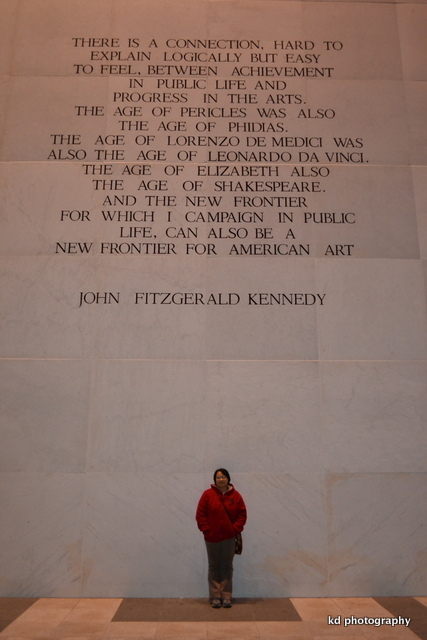 DC has been kind to me, and I'll never forget that. Although the city can be unkind with overcrowded trains, non-working escalators, stinky metro stations and pissed passengers, I try to look at the brighter side of the city. It's hard, but I try anyway. Although DC is known to be the city where everyone works and at the end of day, workers do a mass exodus back to the suburbs, the city has a lot to offer. 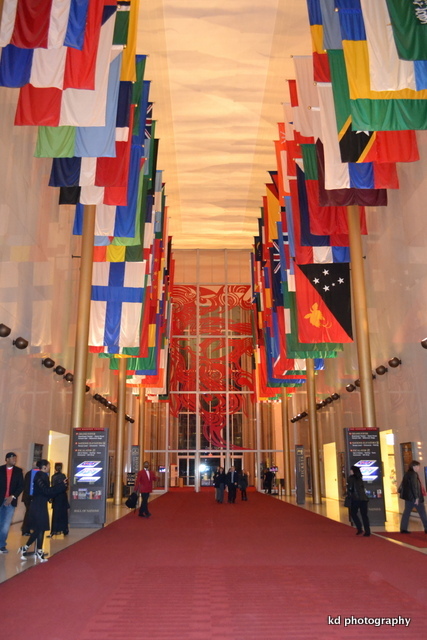 One of them is my favorite place to see musicals and opera acts, the Kennedy Center. This is the Opera House. I've seen several shows here such as Les Miserables, Madam Butterfly and Wicked. Taken on the day we saw Les Miserables. 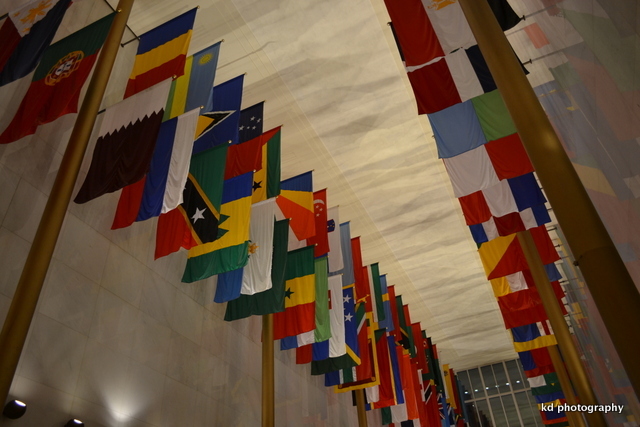 Flags at the Hall of States. Can you spot the Philippine flag? DC must be a very interesting city. BTW that is so interesting that you had an apartment in Rome. I would love that. DC is in my wish list. I'm thinking in one trip I'd hit Boston, Philly, NYC and DC and hit all the sights. Happy long wknd. Going away? haaay...makes me long to visit DC! kelan kaya? 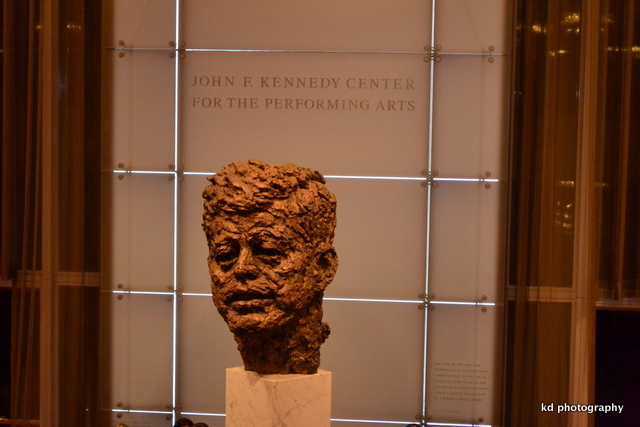 I guess that art-wise that is a very interesting bust of JFK. Only thing is he looks like he has a serious skin disease lol :D Although I do love his quote on the arts, he was spot on! 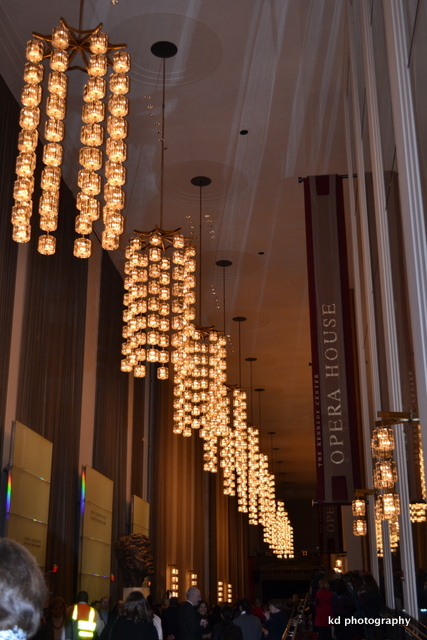 I like those cascading lights at the Opera House. I hope they bring big shows like those in the Philippines.